Central Florida is the home to Orlando, the 82nd largest city in the United States, and the 5th largest city by population. There are actually 230,519 residents living in the actual City of Orlando. It is the county seat of Orange County of the Greater Orlando Metropolitan area. Its latest population count registered at 2,082,628 and it ranks as the 27th largest metropolitan area in the entire nation. On July 31, 1875, Orlando was incorporated and it became a city in 1885. In its youth, it was a major citrus growing region, however, Orlando is now completely urbanized with a huge variety of industries and businesses. 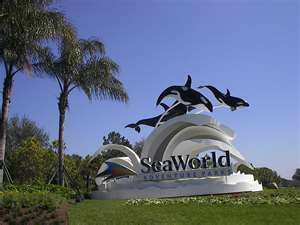 Among them you will find the home of Universal Orlando Resort and SeaWorld Orlando. Walt Disney World is nestled in Lake Buena Vista, some 21 miles southwest of downtown Orlando. The city of Orlando, heralds these theme parks as the backbone of their tourism industry, causing the city to become the third most visited American city in 2007. The city’s growth intensified from 1980 and has continued to grow at a surprisingly steady pace well into the 2000’s. With its rapid and steady growth, Central Florida has since established itself as a very well known and traveled to tourism destination in the 1970’s. The local economy has diversified and created itself many times over and one will find that the region is really the center of operations for hundreds of companies and businesses servicing Central Florida. The University of Central Florida calls Orlando home. It is known to be the largest university campus, due to its student enrollment in Florida, and is among the largest of universities in the entire United States. In 2008, the World Cities Study Group’s listed Orlando as a “high sufficiency”, or in other words a “world-city”, which is only a single category away from becoming a Gamma World City. According to the Loughborough University, Orlando can now be compared intelligently to other such cities as Osaka, Japan, Glasgow, Scotland and Baltimore, Maryland. Orlando is regarded as a vast citrus producer. Orlando, which was once called Jernigan originated from the very first permanent settler Aaron Jernigan, a cattleman rancher, who acquired land along Lake Holden by the terms of the Armed Occupation Act of 1842. Orlando is a major industrial and hi-tech center. The metropolitan area boasts a strong and ever growing $13.4 billion technology industry, which employs 53,000+ employees. The Orlando Metropolitan Area, is considered to be a center of an enormous constellation, surrounded on all sides by growing innovation in digital media, aerospace, agricultural technology, aviation and computer software design. Metro Orlando, is the home to approximately 150 international companies, who have facilities located within her boundaries. In 1965, Orlando’s struggling economy witnessed a great industrial happening when Walt Disney announced that it had plans to build Walt Disney World. Tampa and Miami were considered as the likely destination point for Walt Disney World, however, foreboding bad weather played a very important part in the decision to look elsewhere. Hurricanes, well known for their destructive force, were just too difficult to contend with, so the city of Orlando became their prime choice location. This fun resort opened up in October 1971, bringing with it a huge population increase and a strong sense of economic growth for the Orlando Metropolitan area. Tourism is now reported to be the largest business and it has definitely benefited the local area’s economy. Orlando now boasts more theme parks and entertainment venues than anywhere else in the world. Back in 1962, the new Orlando Jetport, which preceded the present day Orlando International Airport, was built on a section of land of the McCoy Air Force Base, and this project became another major factor in the growth of Orlando. Eight years later, in 1970, Eastern Airlines, Southern Airlines, Delta Air Lines and National Airlines were very busy providing scheduled flights to the relatively new Orlando Jetport. In 1975, the McCoy Air Force Base was officially closed, and the majority of the land they previously occupied, now became a welcomed addition to the rapid growth and expansion of the very modern Orlando International Airport. The airport still uses the call code (MCO), which originated with the former Air Force Base. Orlando’s weather is a warm and humid subtropical climate, and there are two major seasons each year. From June to late September, it is hot, humid and rainy, and this season basically encompasses the Atlantic Hurricane Season. October through May, heralds in the best weather of the entire year, the dry season. It brings less frequent rainfall, humidity is almost to non-existent, but sometimes it still rears its ugly head. Healthcare is professionally managed by two non-profit hospital venues: Florida Hospital and Orlando Health. Central Florida’s only Level I trauma center, can be found in the Orlando Regional Medical Center. Level III neonatal intensive care units, are provided within Winnie Palmer Hospital for Women and Babies and Florida Hospital Orlando. The main campus of the Florida Hospital’s main campus is ranked as one of the very best hospitals in the United States, it also has a renowned brain attack (stroke) facility. Once the new VA Hospital and the UCF’s College of Medicine have been completed in the new medical district in the Lake Nona area of the city, Orlando’s medical leadership will be considered to be top notch. Whatever brings you to this great city of Orlando, you won’t be disappointed. This city is also a very lucrative retail market, offering at least five major upscale department stores. The Florida Mall is the largest single story facility in the United States. Explore and discover 270 stores in the 1,849,000 sq. ft structure. The Mall at Millenia is home to some of the world’s most famous department stores, Bloomingdales, Macy’s and Neiman Marcus. Orlando is located in Central Florida. In less than 1 hour, you can drive to the beautiful beaches on the Atlantic Coast and the Gulf Coast. If you are considering relocating to this great city, you will be hard pressed to decide as to where you may wish to live. There are so many beautiful communities, some of which are gated, for you to choose from. As you tour through the suburbs of Orlando and come across a community that appeals to your better judgment and senses, imagine yourself living there. If you would like to view some properties, or if you would like more information regarding the neighborhoods, please feel free to contact me. It would be my pleasure to assist you in the search of your new home. Wherever your journey leads you, relax and let your imagination lead the way.